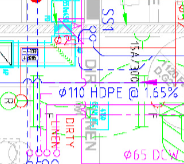 With our origins in engineering and services coordination, we have been able to provide detailed MEP&F drawings with the knowledge and understanding of what information and detail is required to suit our clients’ needs. 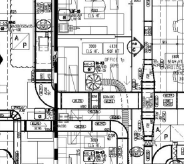 This is a traditional drafting service provided on smaller residential & architectural projects or to contractors, where 3D or BIM is not a requirement. 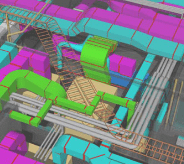 3D MEP Modelling allows for 3-dimensional visualisation & drafting of the mechanical, electrical and plumbing aspects of a building. These models are clash-free with the use of CAD software. 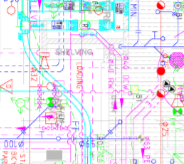 The production of combined services drawings (plans and sections) locates each service in two/three dimensions and helps identify any clashes. 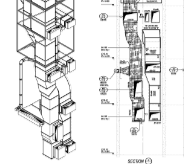 2D & 3D Service drawings produced from coordinated layouts allow accurate and efficient off-site fabrication of duct work and piping systems and not only save installation time on site but also reduce wastage on materials used.